Join our global K Cup Tower Building Challenge! 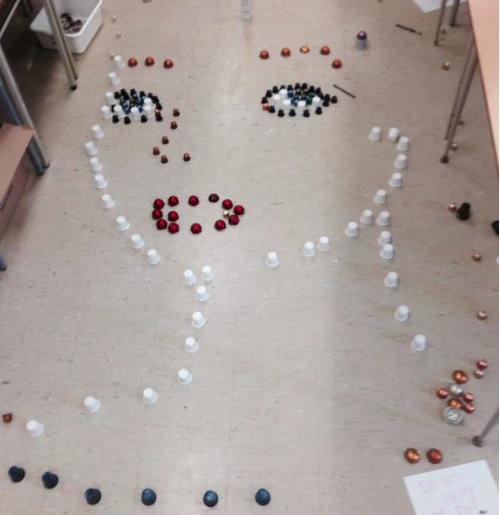 Check out this masterpiece by Mrs. Evershed’s Grade 7 Class from Earnscliffe SPS in Brampton Ontario! Builds creativity, problem solving and collaboration. 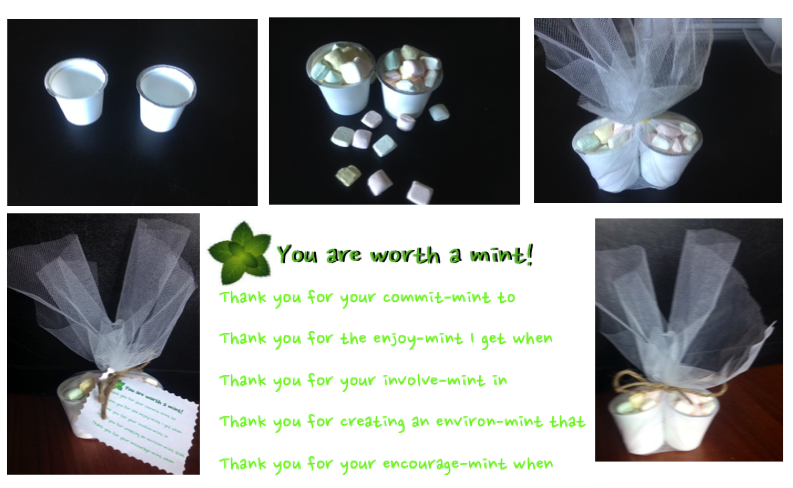 Use two K Cups to package the mints for this sentimental Father’s Day gift. Students personalize the card. Follow the simple visual instructions and download the PDF of the card. Enjoy! 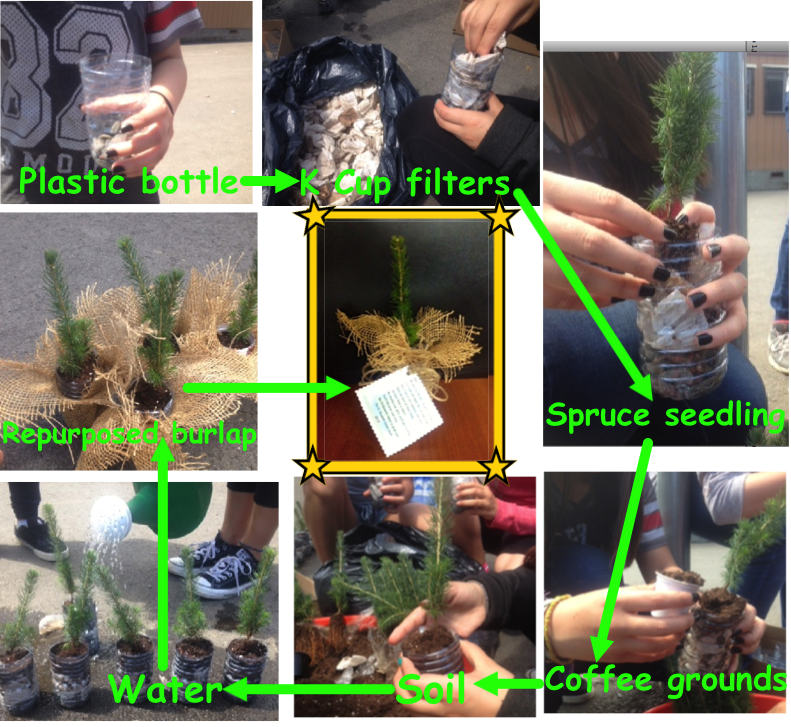 Use the filters and coffee grounds saved from K Cups to pot your trees/flowers! 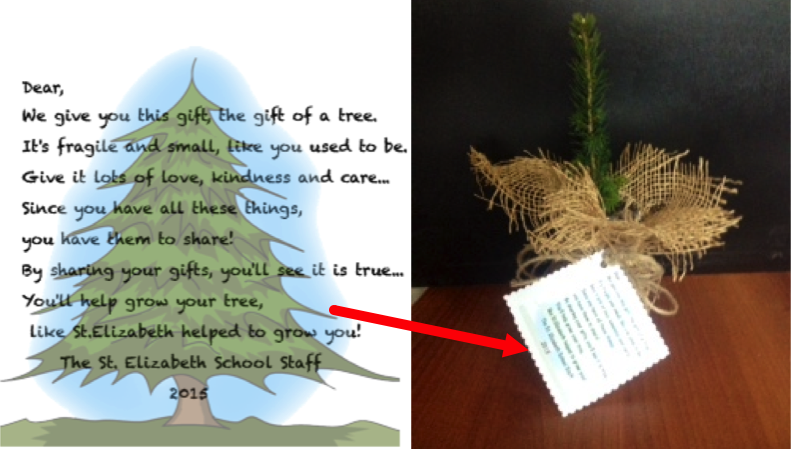 An environmentally friendly, symbolic gift! Follow these simple visual instructions! 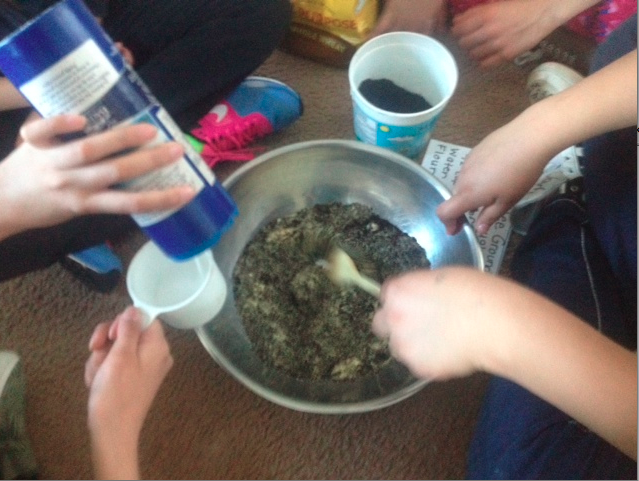 My students are repurposing the coffee grounds saved from the K Cups to make play dough! We are donating it to our younger classes and also using it for math (see below)! 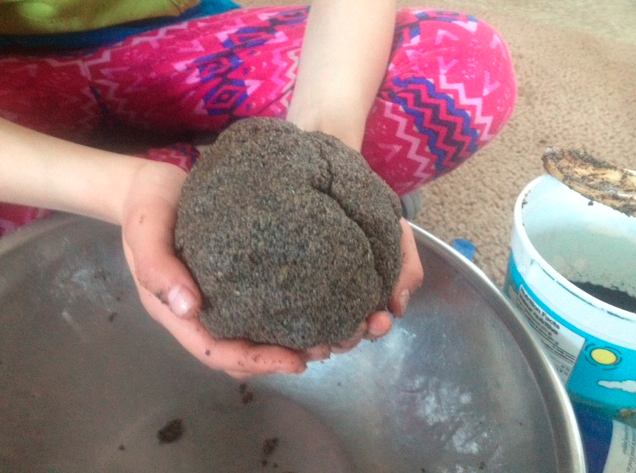 Here is also a link to a video to make a different coffee ground play dough recipe. First add 2 cups of coffee grounds into a large bowl. Mix in 1 1/2 cups of corn meal. Gradually add in 1/2 of salt then stir. Then add 1/2 to 1 cup of water slowly while stirring. Finally add 10 full k-cups of flour and kneed with hands for 2 min adding more flour if necessary. 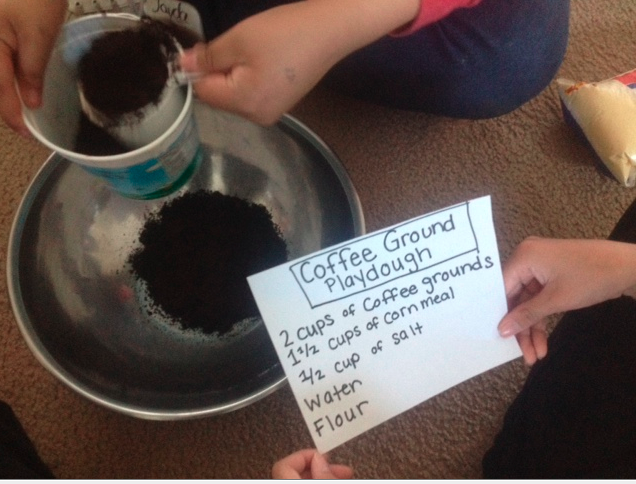 USE COFFEE GROUD PLAY DOUGH FOR MATH! working out the math (i.e. 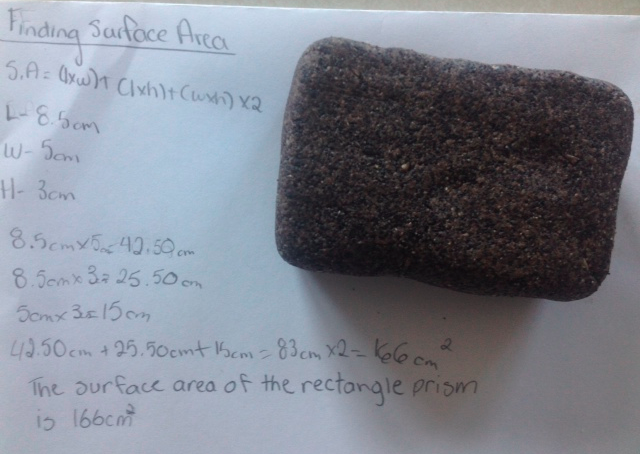 surface area, volume, perimeter, area, etc). USE K CUPS FOR STARTER POTS! 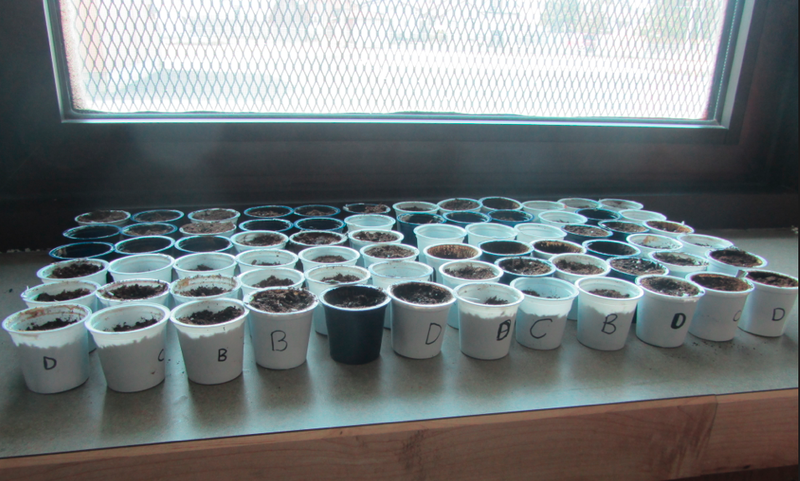 For Mother’s Day, my students planted herbs for their moms. We used K Cups as starter pots! USE K CUPS TO MAKE MUSIC! My students are making music with K Cups. Check out our video! 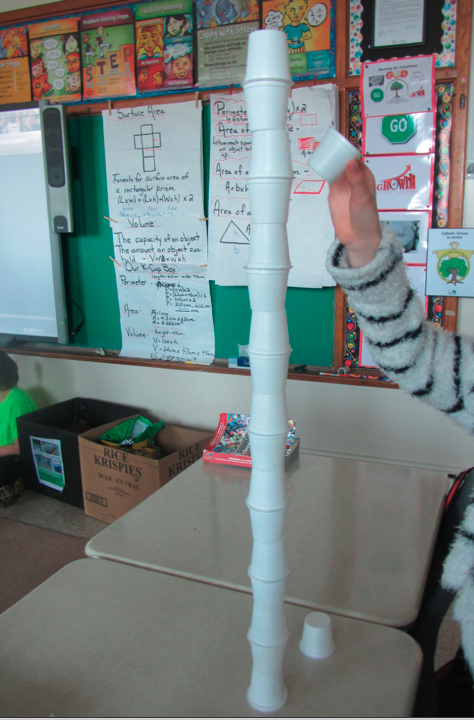 USE K CUPS TO BUILD TOWERS! made. They also like the single stack challenge. The record in 20 K Cups stacked can you beat it? Have any other ideas for K Cups? Please share your ideas in the “Reply” section below. Check back often as this page will be updated with new uses for K Cups! Checkout “Cathy’s Composters” out of Bratford, Ont. We purchased a bin for my class. Vermicomposting is the process of using Red Wiggler worms to quickly compost. They especially like coffee grinds that would come out of used K-Cups. Good Luck!